1. The wound must be clean of infection and dead tissue. Bacteria will inhibit the body’s ability to heal tissue. Dead tissue acts like food for the bacteria. Both also inhibit healing cells from migrating to the area for healing. 2. The wound needs a blood supply. If there is not enough blood to the wound because your circulation is poor, the wound cannot receive its needed nutrients and cells necessary for healing. Furthermore, if there is infection involved, it is difficult for your body’s immune system cells and systemic antibiotics to reach the wound. 3. The wound needs to have any pressure removed from it. When there is abnormal pressure on the wound, it prevents the flow of blood to the area and thus, the tissue dies. It also causes conditions as in number 2 above. Remember the tissue in a healing wound is like newly seeded grass; it is very sensitive to pressure and needs to be moist and not dry out. 4. The wound and your body need nutrition. If you are diabetic, your glucose needs to be controlled. When your glucose is high, it will inhibit your body’s ability to fight infection as well as create further body inflammation straining your system. If you do not have the proper nutrients in your body, then your body does not have the maximum capability to heal itself. 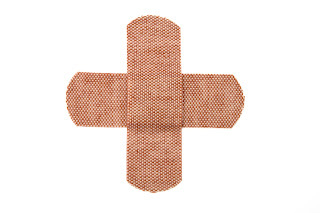 Significant advances have been made in the treatment of wounds. Remember, keep your wound clean, have any dead tissue removed, keep the pressure off of it, do what is needed to improve the circulation and keep your glucose controlled, eat nutritiously! Oh, and remember, do NOT dry a wound out. Stay ahead of problems, call Hickory Hollow Foot andAnkle Center to receive your comprehensive diabetic foot exam today at (615) 731-8955 or stop in at ArchMasters to be sure you have the optimal shoes and orthotics to maintain healthy feet.